Port Adelaide's inaugural Premiership triumph in 2004 was the well deserved triumph of a team that had finally overcome its mental demons. Finishing in the top four each of the previous three years, the Power had never managed to make it to the big dance. Their historic victory came against a Lions team that had won the previous three Grand Finals, and will go down as one of the greatest teams of all time. After a rugged and bruising first half, the Power ran over the top of Brisbane in the second half on the back of three goals from Norm Smith Medallist Byron Pickett to deliver their loyal fans the ultimate glory. 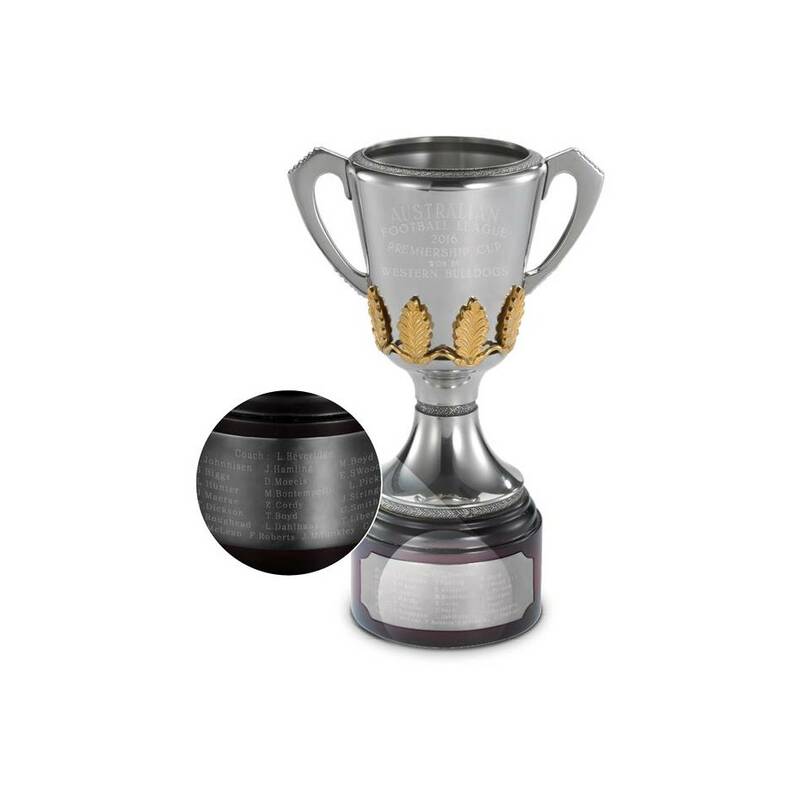 Commemorate Port Adelaide's 2004 Premiership triumph with a collectable pewter replica of unrivalled heritage and splendour. Each handcrafted Cup is composed predominantly of refined tin, with small proportions of antimony and copper added for strength and durability.